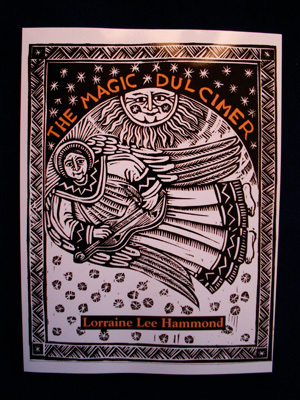 The Magic Dulcimer is quite simply the most beautiful and the best written book of its kind. The arrangements of familiar – and not so familiar – folk songs and tunes will guide and delight both beginners and more experienced players. 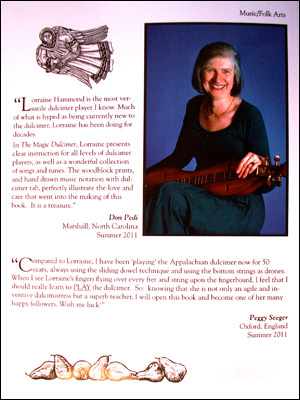 Past-master Lorraine Hammond thoughtfully explains and demonstrates all the techniques and tunings needed to bring out the voice of this uniquely American instrument. Lavishly illustrated with Mary Azarian woodcuts.